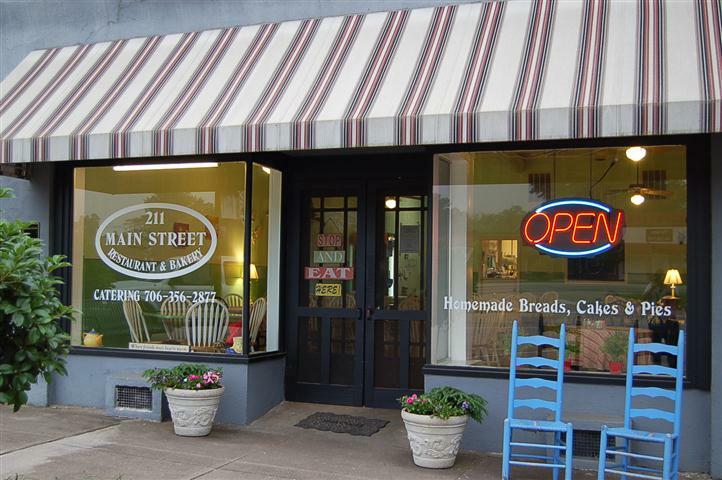 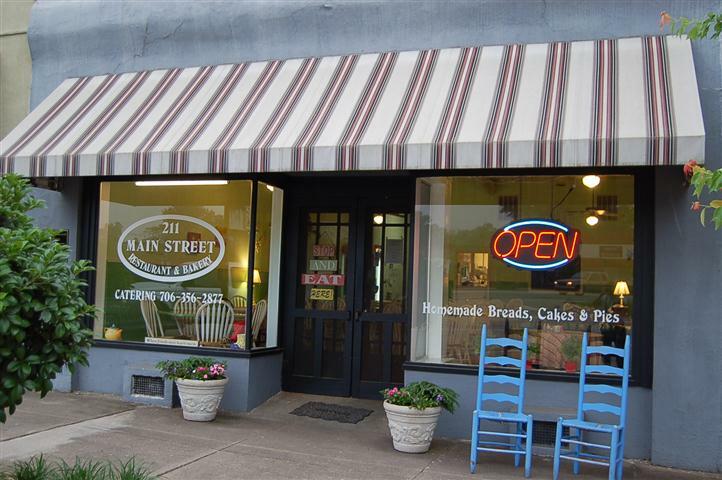 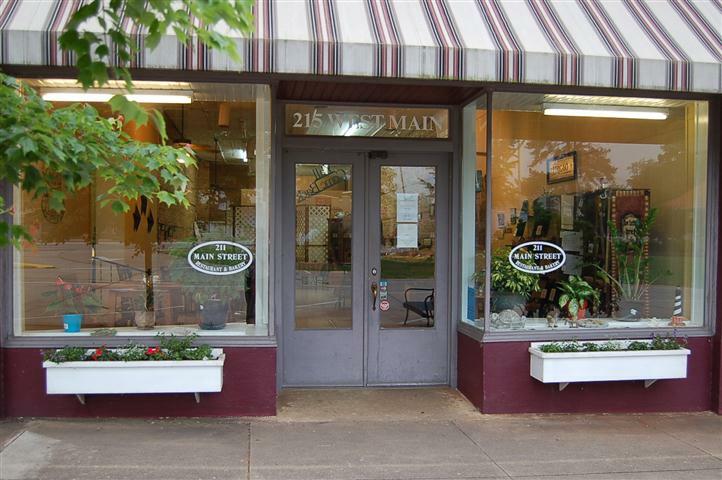 Outside of restaurant with open sign lite up. 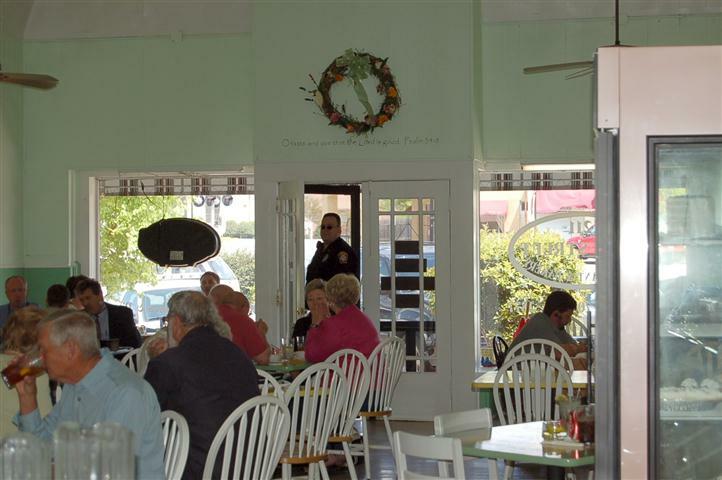 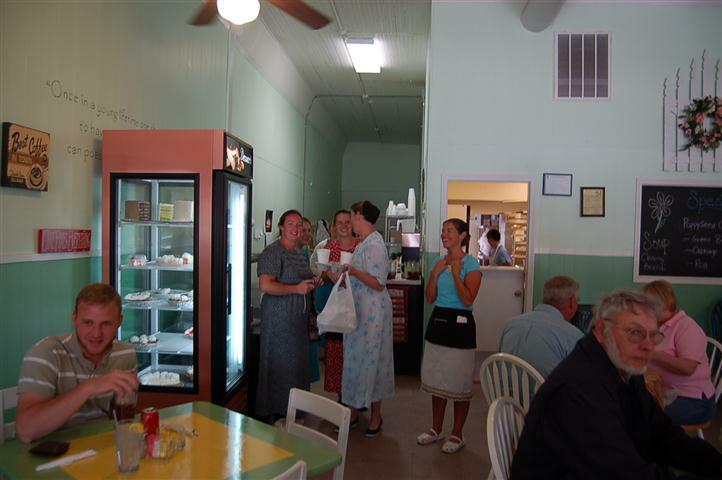 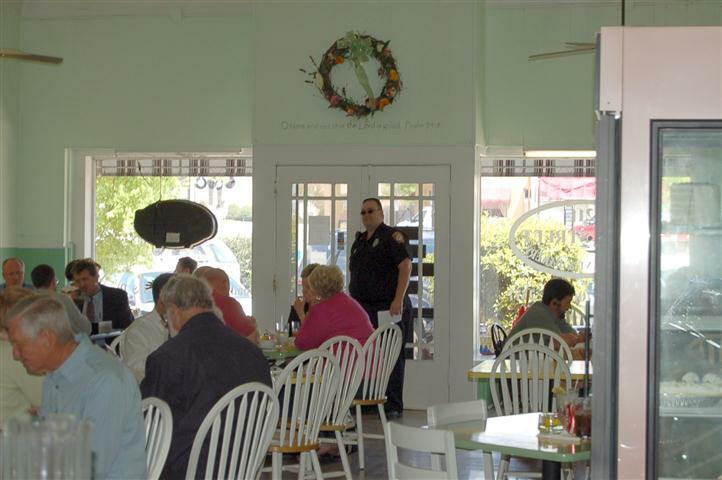 Inside view of restaurant with tables filled with customers. 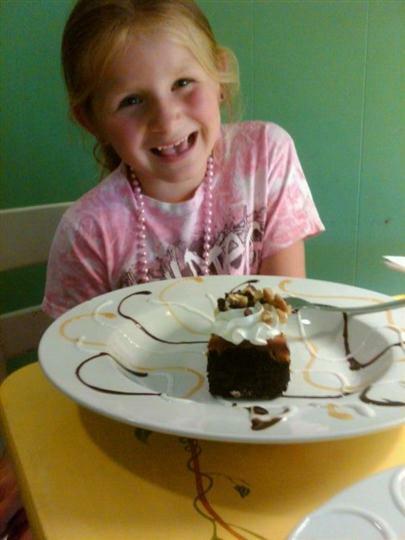 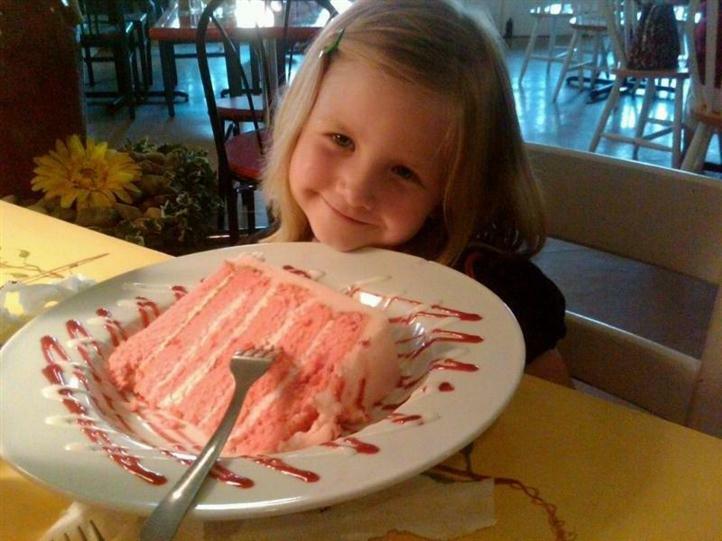 Young girl smiling at the camera with a cake in front of here. 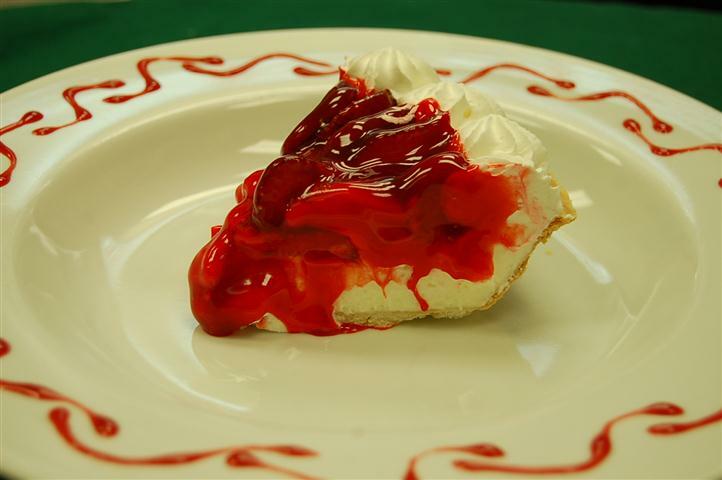 Slice of cake topped with red fruit sauce. 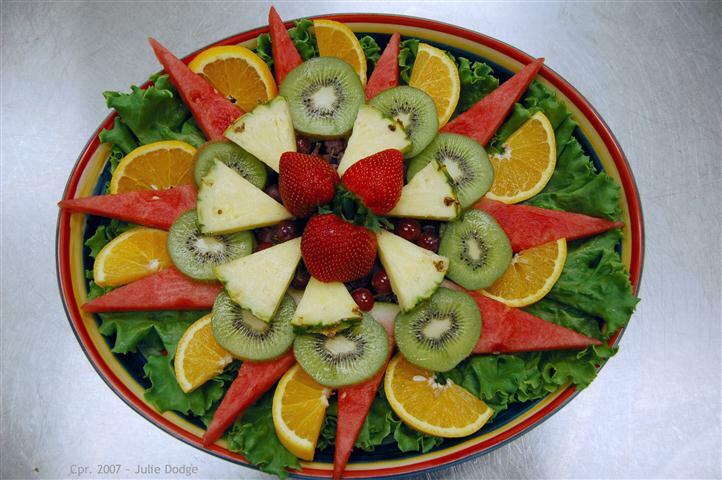 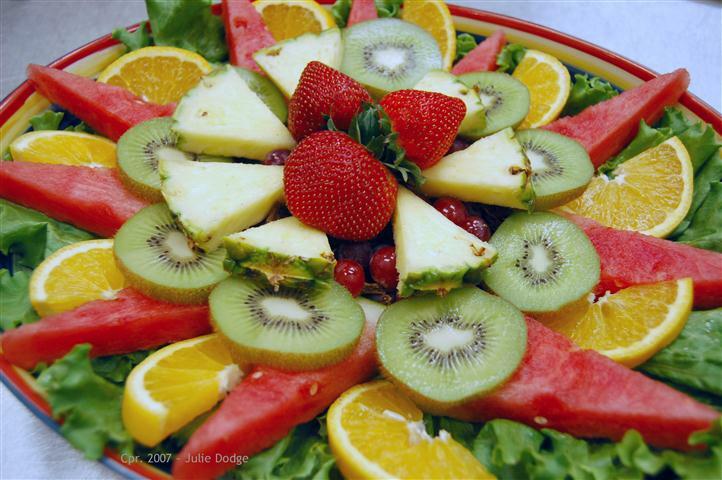 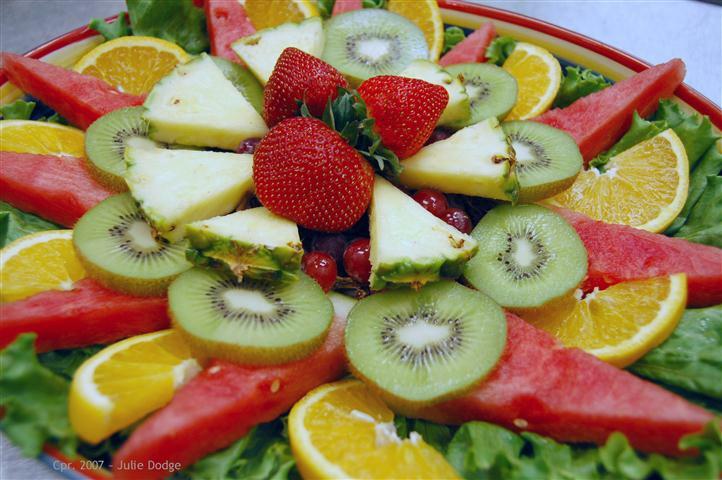 Fruit platter with oranges, watermelon, pineapple, kiwi and strawberries. 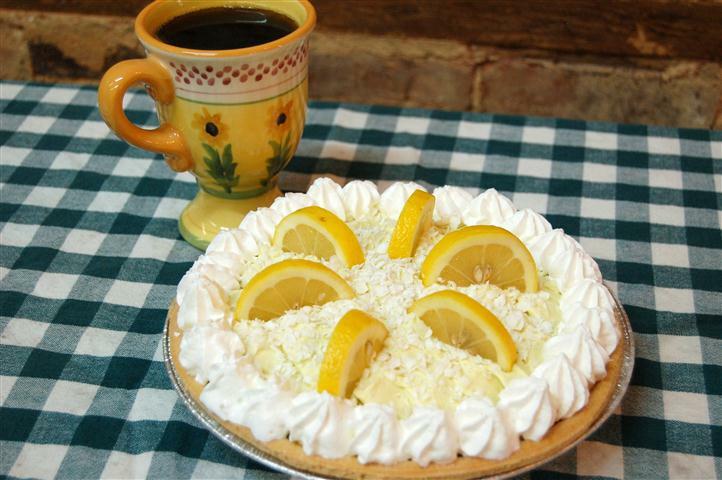 Lemon Meringue pie topped with lemon slices. 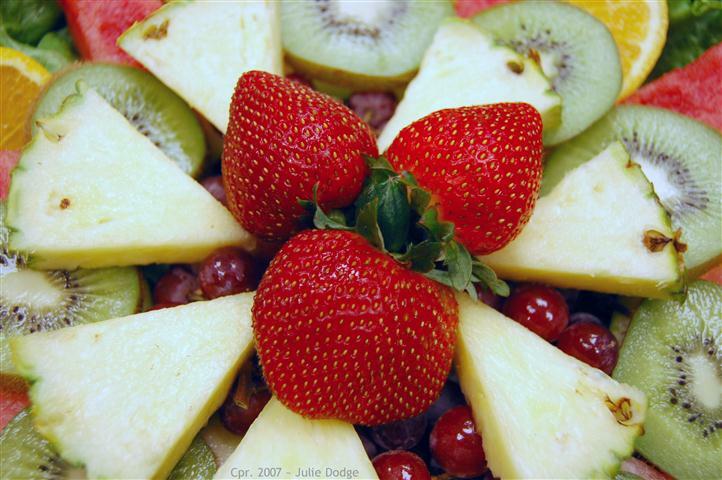 Close up of fruit platter with kiwi, strawberries and pineapple. 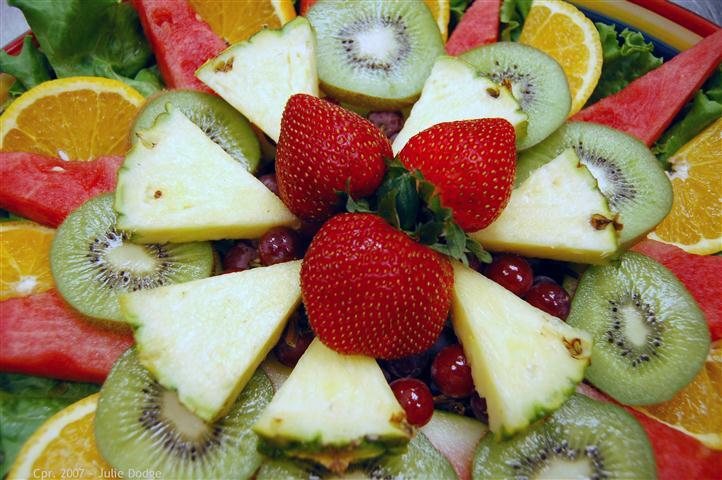 Close up of fruit platter with kiwi, strawberries and pineapple, orange and watermelon. 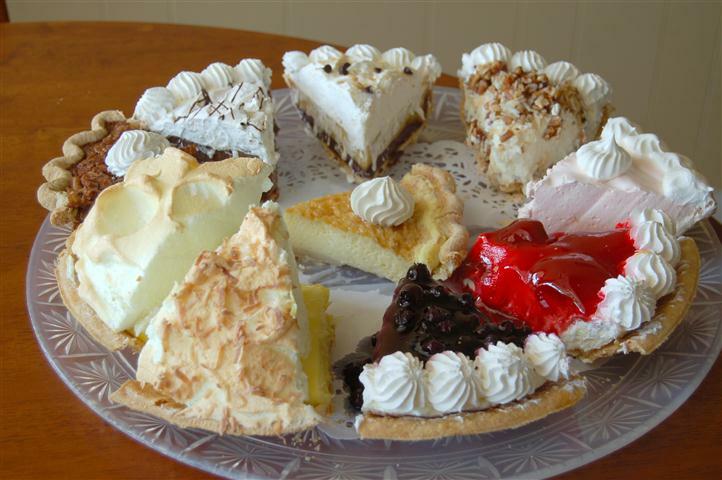 Plate with a variety of different pie and cake slices. 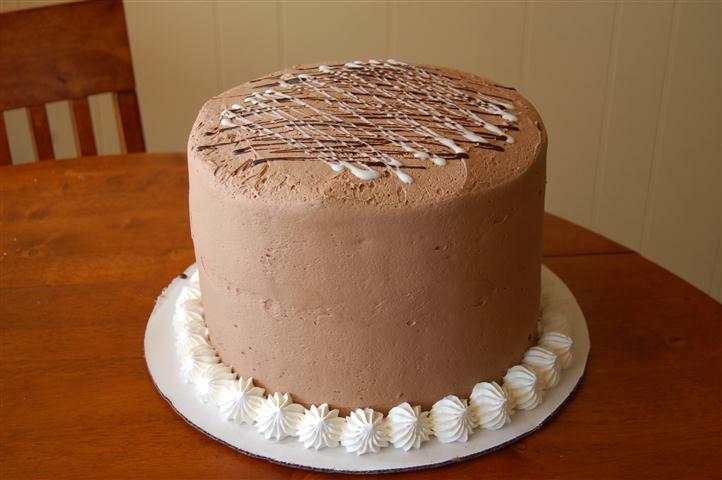 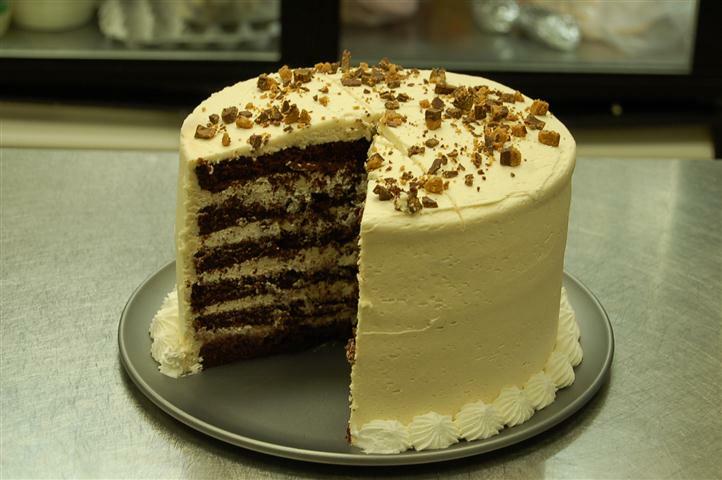 Tall cake with chocolate frosting. 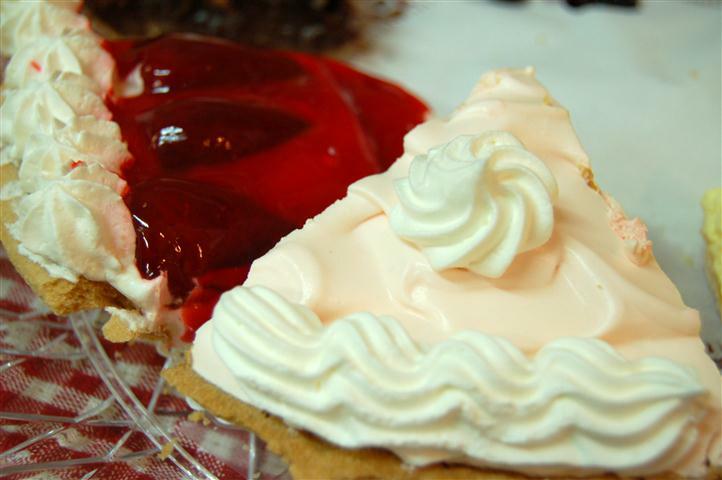 Close up of two different pie slices. 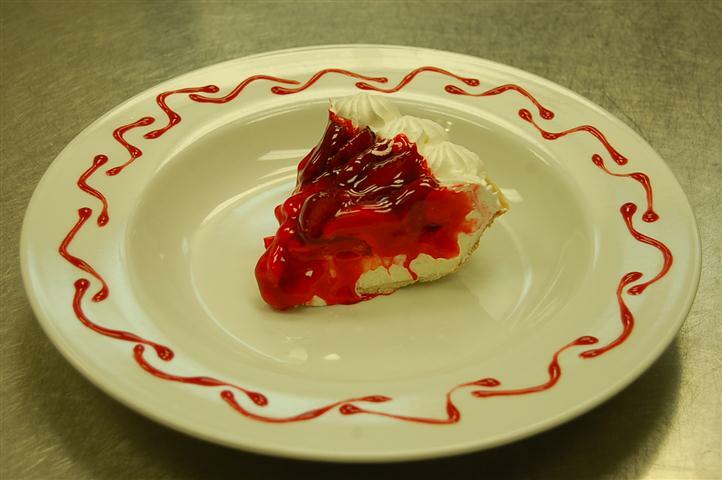 One pie is cherry and the other is with a white cream frosting. 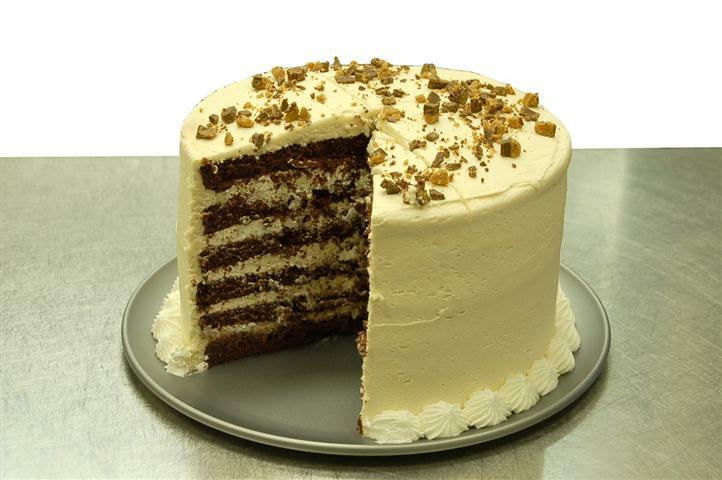 6 layer chocolate cake with a large slice cut out to see the inside. 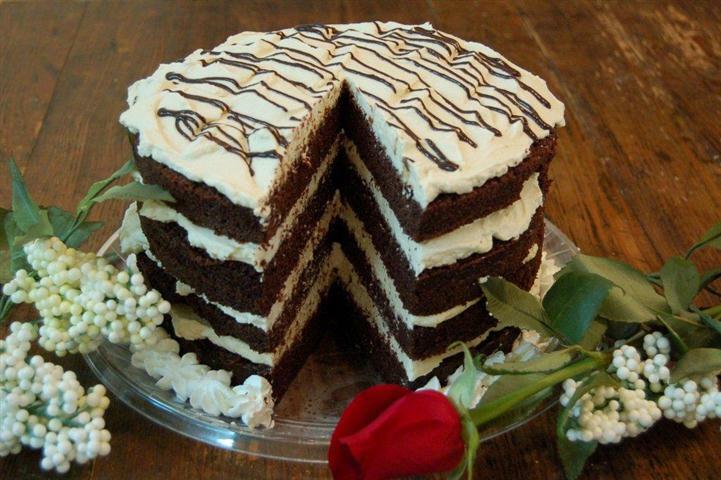 Covered with chocolate candy topping. 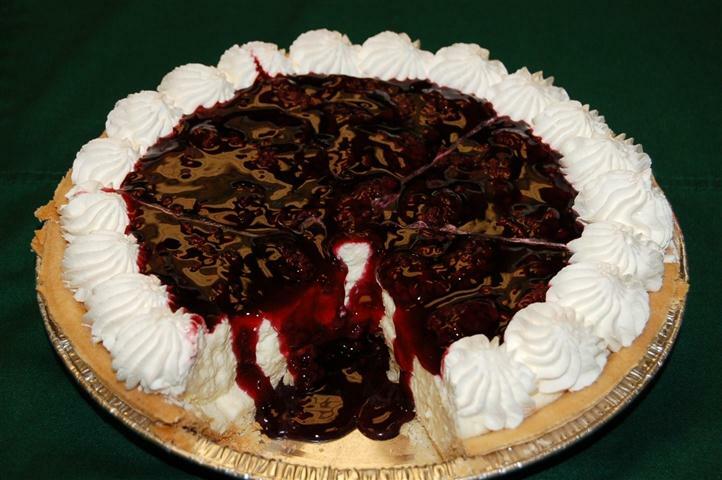 Pie with cherry and chocolate sauce. 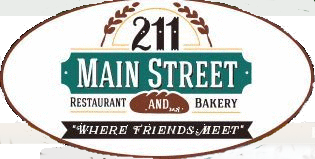 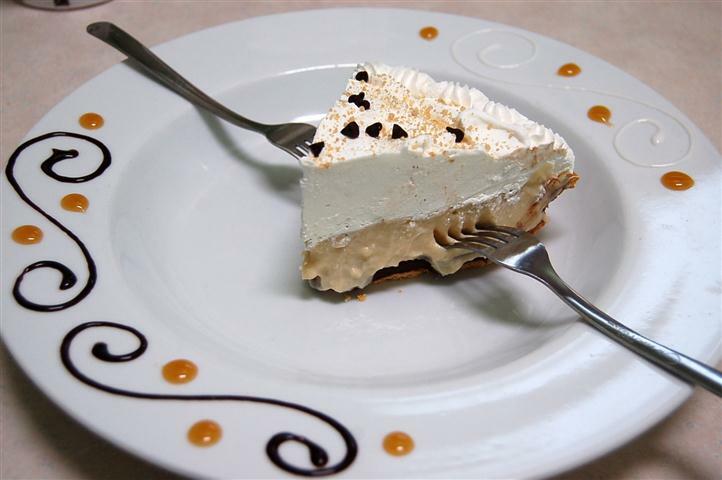 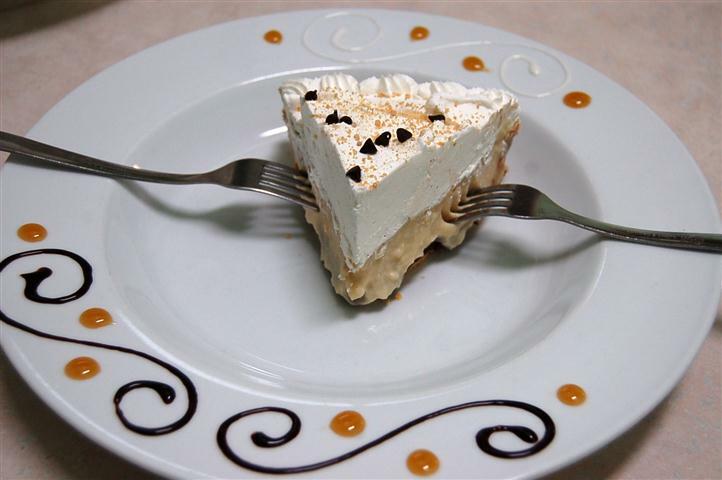 Small slice of pie on a white plate and two forks. 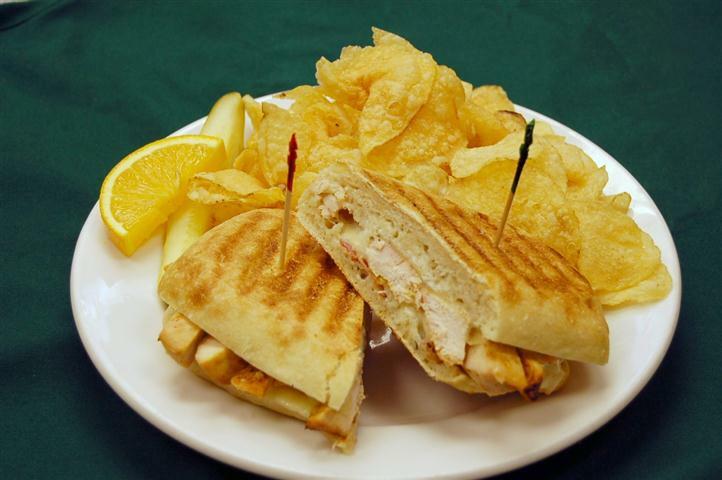 Grilled Chicken Ranch panini and a side of chips. 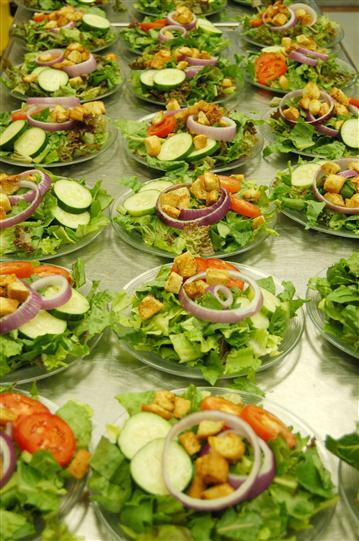 table full of salad bowls. 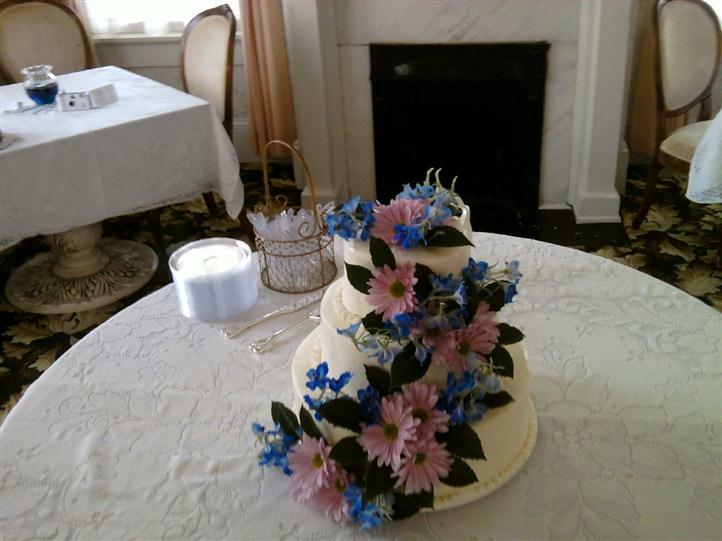 Three tiered white cake with pink an blue flowers. 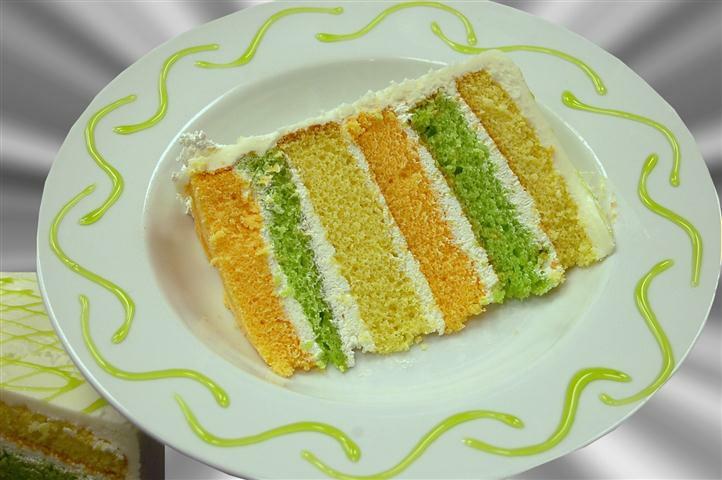 6 Layer cake with green, yellow and orange layers. 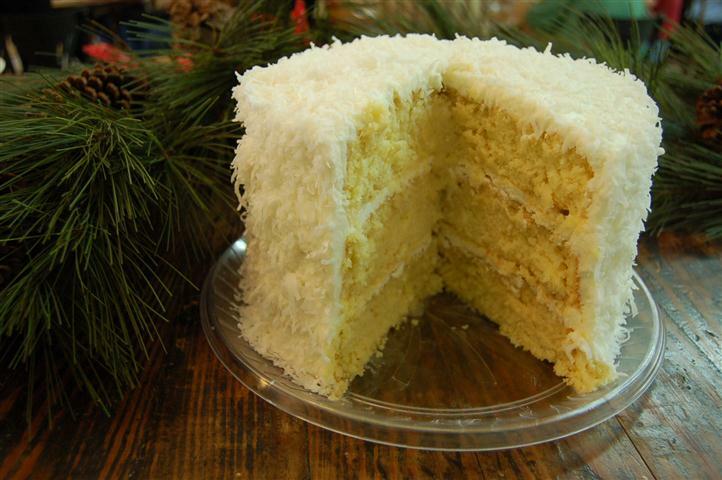 Three layer cake with coconut on the outside. 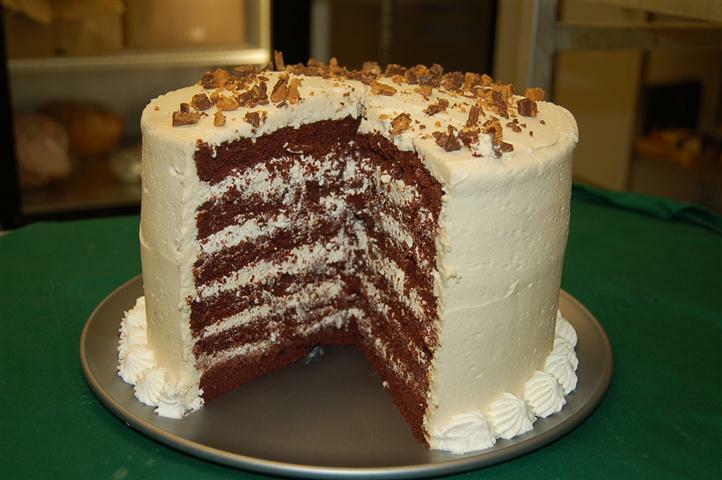 Four layer chocolate cake with vanilla cream layers in between. 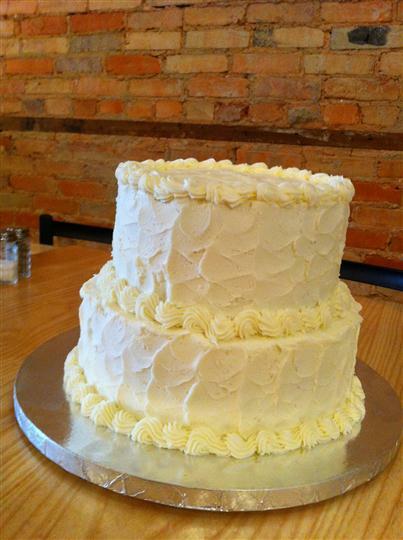 Two tier cake with vanilla and light yellow frosting. 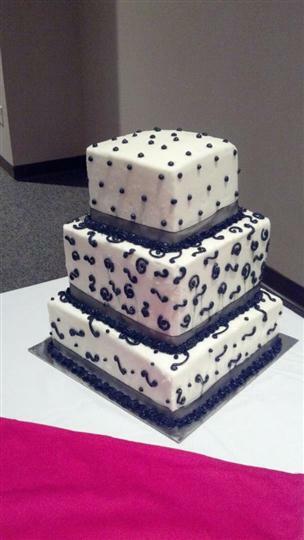 Three tier white square cake with navy blue dots and designs. 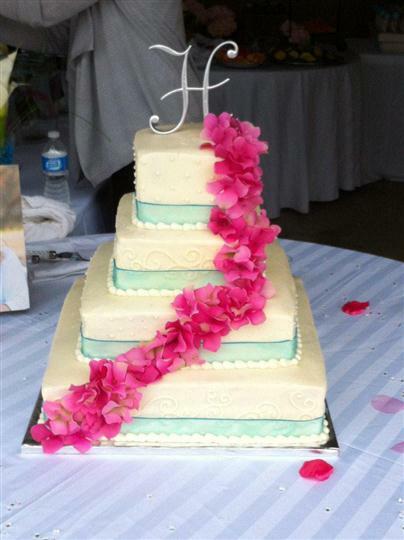 Four tier square white cake with light blue strips and pink flowers. 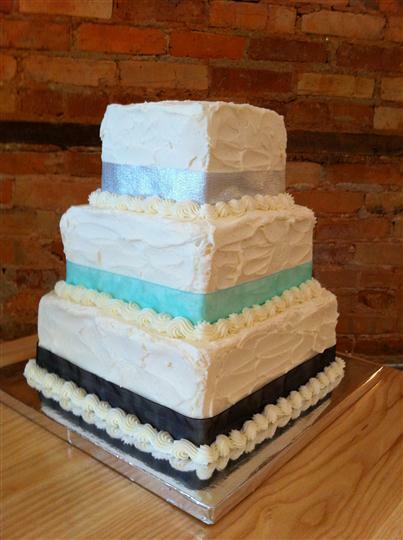 Three tier square cake with silver, light blue and black strips. 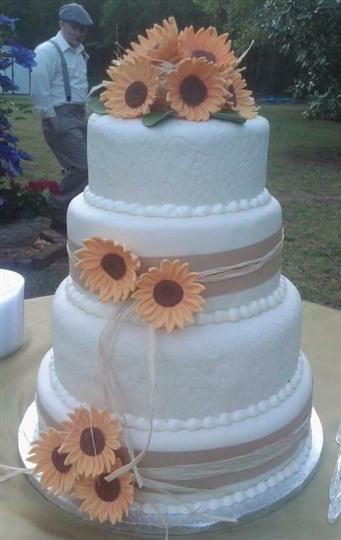 Three tier round white cake with orange sunflowers. 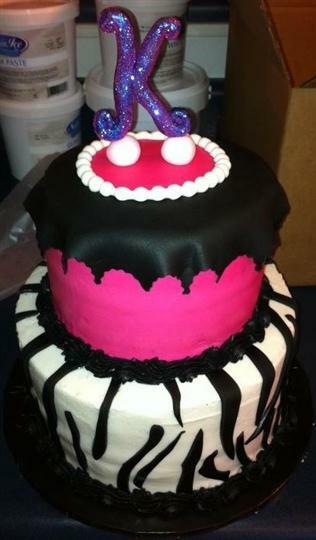 Two tier cake that is black, bright pink and white with the letter K on top. 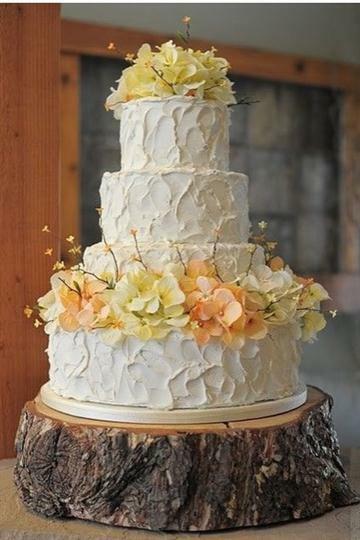 Four tier white round cake with yellow and orange flowers. 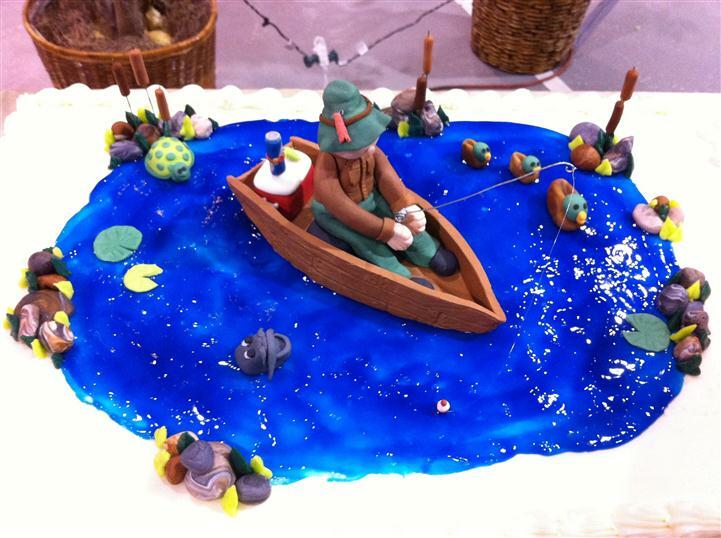 White cake with blue icing representing a pond with a man in a boat on top.